The American Concrete Institute in 2010 defined internal curing as “supplying water throughout a freshly placed cementitious mixture using reservoirs, via pre-wetted lightweight aggregates, that readily release water as needed for hydration or to replace moisture lost through evaporation or self-desiccation” (American Concrete Institute, 2010). While internal curing has been inadvertently included in many lightweight concretes produced within the past 100 years, it is only within the first decade of the 21st century that this technology has been intentionally incorporated into concrete mixtures at the proportioning stage, using a variety of materials including pre-wetted lightweight aggregates, pre-wetted crushed returned concrete fines, superabsorbent polymers, and pre-wetted wood fibers. 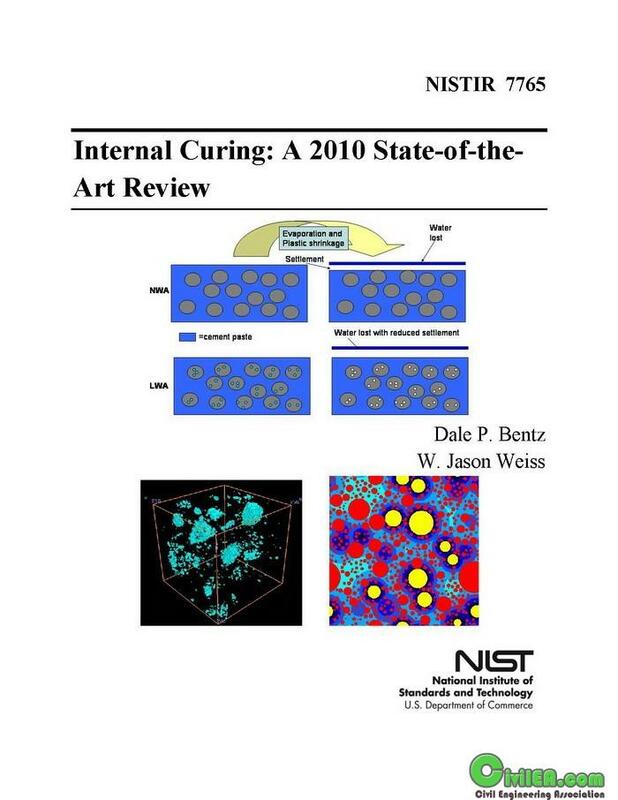 This report provides a state-of-the-art review of the subject of internal curing, first addressing its history and theory, and then proceeding to summarize published guidance on implementing internal curing in practice and published research on its influence on the performance properties of concrete. The ongoing exploration of extensions of the internal curing concept that employ the internal reservoirs to contain materials other than water are reviewed. Finally, the critical issue of sustainability is addressed. An extensive internal curing bibliography that is also available over the Internet is included in an appendix. The report is mainly focused on the utilization of pre-wetted lightweight aggregates as the internal reservoirs due to this being the current established practice within the U.S.